The state of Louisiana is filled with plenty of outdoor attractions where you can enjoy a fun day out without interruption. 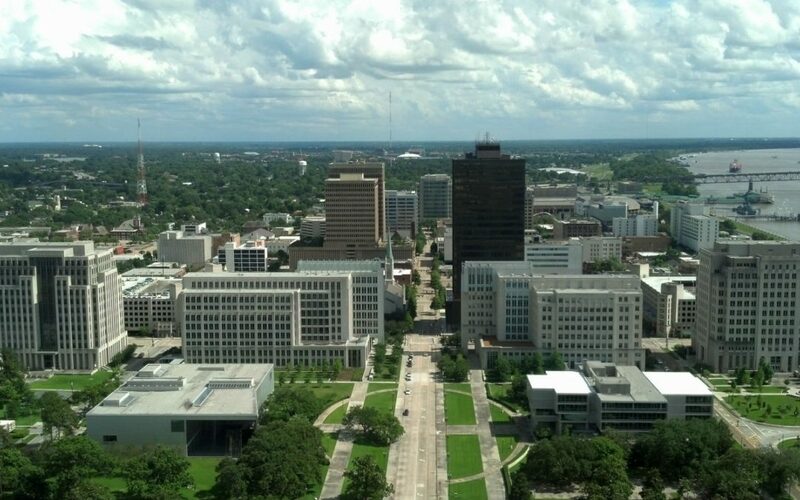 There’s no wonder why the capital, Baton Rouge, is no different from the rest of the state. You can find outdoor activities like fishing or head over to the botanical gardens for a peaceful walk. Whatever you’re in the mood for, Baton Rouge is the right outdoors haven to be. Feel free to enjoy anything from the Armstrong’s list of the best outdoor fun to be found in Baton Rouge, LA. You’re going to love a walk around the Baton Rouge Zoo. This animal kingdom is full of species from all over the world. You’ll find anything from exotic tigers to majestic stingrays when you take a tour around. During your day out at the zoo, you’ll run into a handful of animal experts that are ready to teach you a thing or two about the amazing wildlife. The zoo also offers great special events to keep visitors entertained throughout the year. Currently going through a complete renovation, the Bluebonnet Swamp Nature Center offers one of the most beautiful scenes on our list. It houses various animal exhibits, natural rock and mineral displays, and natural trails surrounded by plenty of vivid scenery. Bluebonnet Swamp is also an enjoyable spot for birdwatchers to view different bird species migrate throughout the year. Coyotes, deer, otters, raccoons, rabbits, and turtles are also amongst some of the other common animals you can spot at the nature center. This free of charge Arboretum is part of the LSU system. This beautiful Baton Rouge garden is full of Louisiana native plants. Discover the bamboo groves and stunning colors of the different types of wildflowers that grow around Louisiana year round. Although this university arboretum is a place for learning, it is a great spot to visit when you’re trying to cut out a world full of distractions and stress. Try going out to Tickfaw State Park to experience four different types of outdoor sights. These different terrains include the cypress swamp, a bottomland hardwood forest, a mixed pine/hardwood forest, and the Tickfaw River. It’s the perfect place to see how these worlds collide on the beautiful Baton Rouge soil. You can choose to roam around and explore or stop by the Nature Center and check out the different attractions. Tickfaw State Park also allows its visitors to take canoes, kayaks, bikes, and other environment-friendly transportation that will make your trip more interesting. Although visiting the state capitol would count as an indoor activity, taking a stroll around the outside is just as good. The Louisiana State Capitol is one of the loveliest buildings you will find in Baton Rouge. This castle-like building is a place you would love to take a picture. There is no other building with such a rich history in the whole state, so make sure you don’t pass on the opportunity. Located in the center of East Baton Rouge Parish, the Independence Community Park is a popular spot for the community to stay active. The park features soccer fields, baseball fields, a playground, a botanical garden, a lagoon, walking trails, a tennis center, and a theater. Don’t be surprised if you run into local youth competitions or a community event. You can also count on finding a pretty modern park with plenty of friendly people around the area. Perkins Road Community Park is popular amongst the extreme sports crowd in Baton Rouge, The facility features an awesome skatepark and BMX track where you can check out some moves and show off your extreme moves in case you have any. You can also set up an appointment to reserve your spot at the park’s popular rock climbing wall. Perkins Road Community Park also allows community fishing and a recreational center where you can participate in occasional community classes and events. Other park amenities include a playground and rentable pavilions for private events. Located in East Baton Rouge by LSU, Brooks Community Park offers a more relaxed environment for your enjoyment. The park features a relaxing labyrinth, a splash pad for the kids, a tennis center, and the Baton Rouge Gallery. The gallery holds art created by photographers, painters, sculptors, stained-glass artists, printmakers, ceramicists, multimedia and installation artists. This community park includes other amenities like the dog park, croquet, sports fields, and plenty of lawn space where you can enjoy family-friendly outdoor activities. This spot is another community park where you can enjoy a fresh walk along the park with good company. There’s plenty of shade in the area which makes it great for your kids to have a fun time during the summer. This park also features a popular dog park area where you can take your favorite pet and let them make some new friends. We all know that your pets deserve some time to go out and have some fun times. This community park is one of the few spots where you can enjoy a round of disc golf. All the surrounding oak trees and beautiful rolling hills help make the game more interesting. Highland Community Park is also the spot where the Baton Rouge Rugby Football Club practices during the week. Other park amenities include baseball fields, rentable pavilions, a tennis center, and a large open lawn area where you can play around with a ball. Liberty Lagoon is a great place to take your family when summertime comes around Baton Rouge. It’s a great spot to have some fun and beat the heat by cooling off at the water park’s attractions. The park features a large pool in the center surrounded by plenty of small attractions where children and adults can forget about the hot weather. You can also rent out the Shockwave, a strong wave simulator that will have you feeling like you’re surfing in the ocean. If you’re looking for a great spot to exercise, Milford Wampold Memorial Park has got you covered. Apart from having a modern look, this park also allows the public to access the LSU lake where you can fish. It is a great spot to go on a date or have a small family walk. You’ll love adding this spot into your biweekly activities. This Wildlife refuge is a must visit spot for everyone in the Baton Rouge area. Located about an hour southeast of the city, the Wildlife Refuge offers plenty of natural areas to explore and admire. You can enjoy anything from hunting and fishing to wildlife viewing out in the open. The park does an amazing job of preserving the natural beauty of Louisiana and showing off its beauty. You’ll be able to enjoy bird watching throughout the year and see what types of species are out there. Just remember to keep the environment friendly and clean!